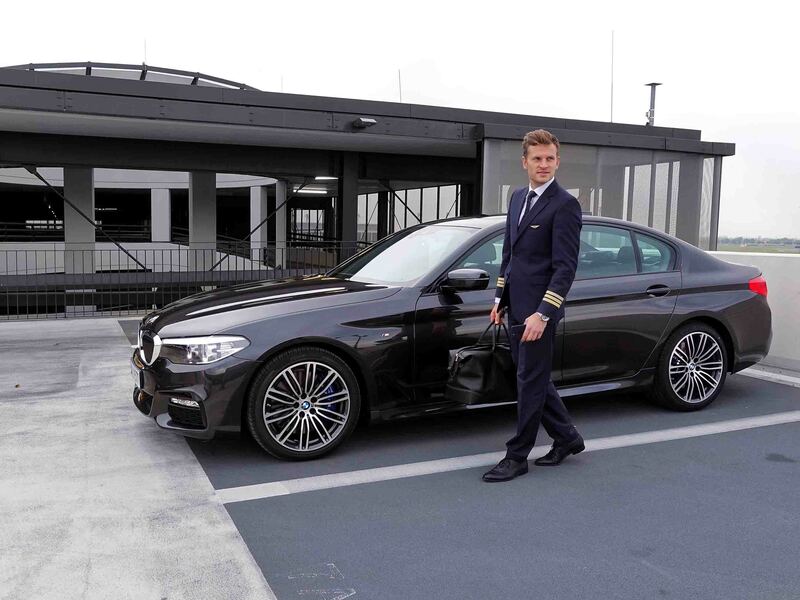 Hello my Aviator, I recently had the great chance to drive the new BMW 5 series for some weeks. 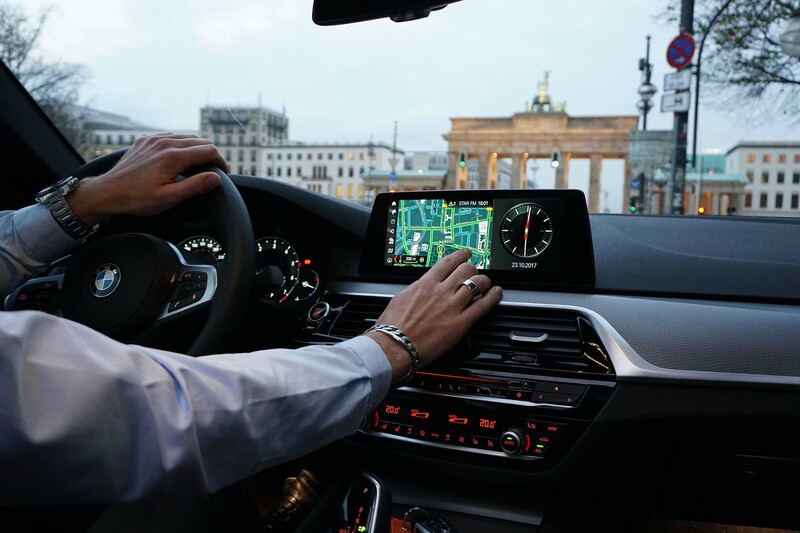 The new BMW 5 series with the Connected+ feature is the perfect travel buddy. 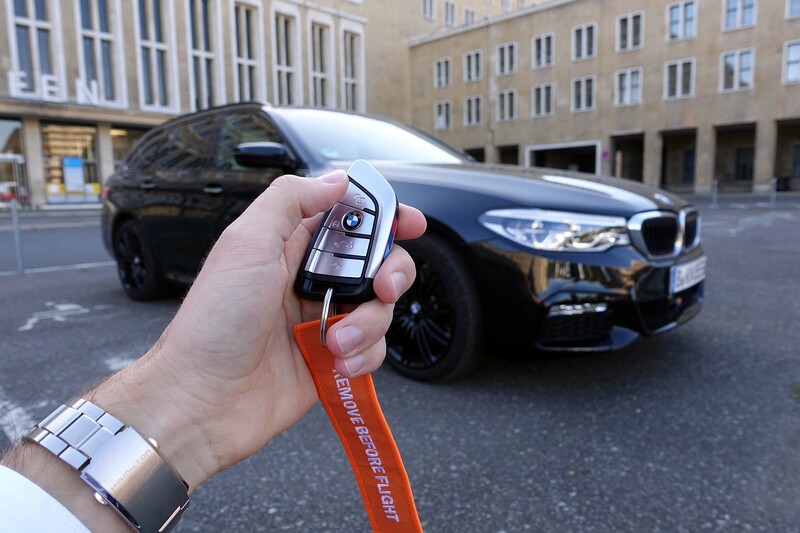 In this blog post, I share my experiences driving the BMW and I explain to you how Connected+ can help you to run a busy day more smoothly. My dad used to drive all kinds of BMW 5 series models and I could not wait until turning 18 to be able to drive his BMW. In fact, I was even able to drive the car already at 17, because I made a drivers license during my high school year in the United States. It was fun to be the first one of all my friends to drive a car. But this is already 13 years ago and BMW has upgraded its model to perfection. I really like the new design because it is sportive and elegant at the same time. The bright interior with cream leather and the set up of the cockpit looks really high-class. 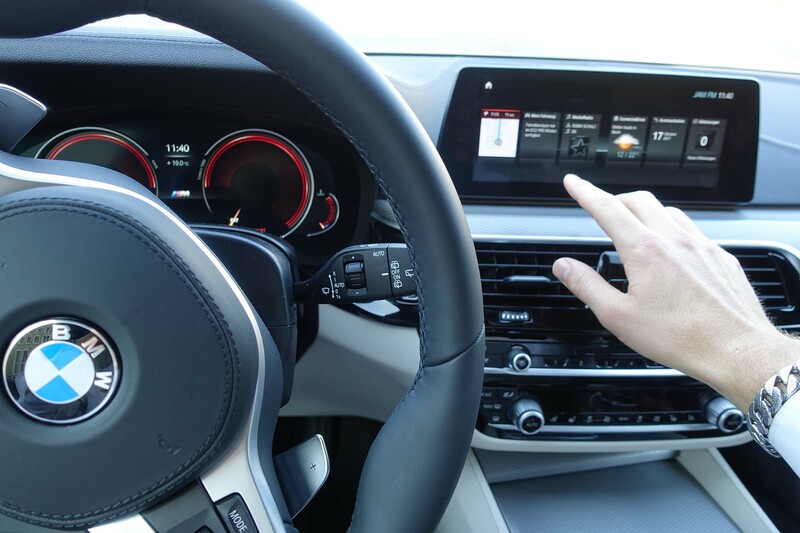 But now I want you to make you familiar with a brand new feature: BMW’s ConnectedDrive and Connected+. This digital service is there to support you and to run your day more smoothly. So a busy day becomes a little less busy. I tested all kind of features and I was amazed by its capabilities. 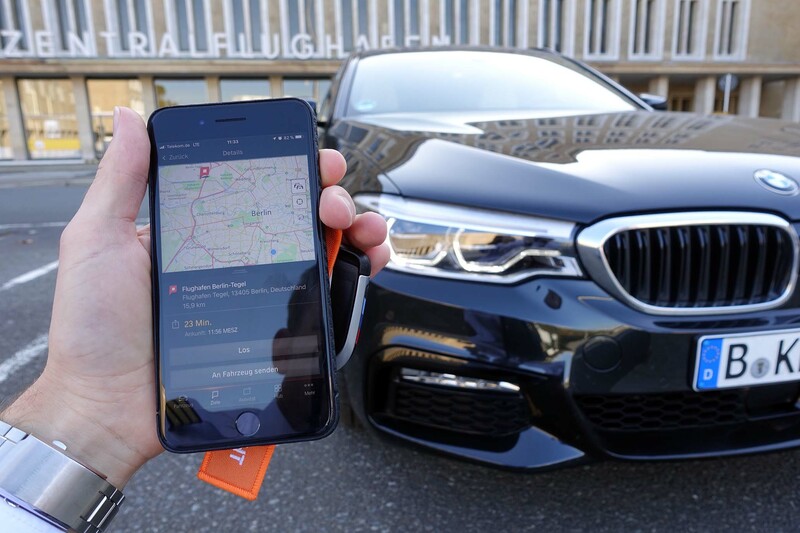 BMW Connected+ is the digital “bridge” between your smartphone and your car. With Connected+, you can create in-car personalization and smartphone integration on the Control Display. I noticed right away that the handling in the car is much more intuitive and a lot easier. My car was also equipped with gesture control. This way I could set up my car without taking off my eyes from the street. To turn up the volume you just have to rotate your finger clockwise in front of the screen. 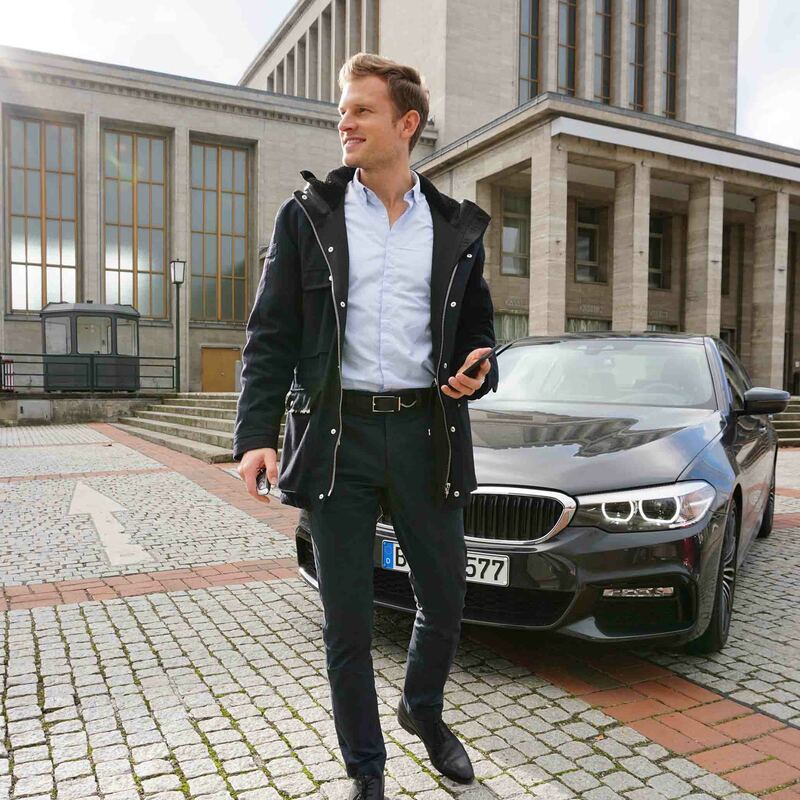 BMW connects to mobile devices and Home-enabled devices for a seamless experience. 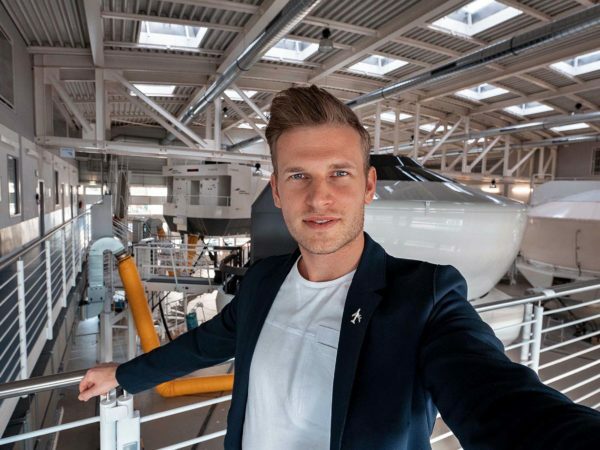 Send my route to car: via the Connected+ app you can set up the onboard navigation. After entering the car, the route is already in the system and can be started by a click. Once you are in the car there is no need to set up the navigation. 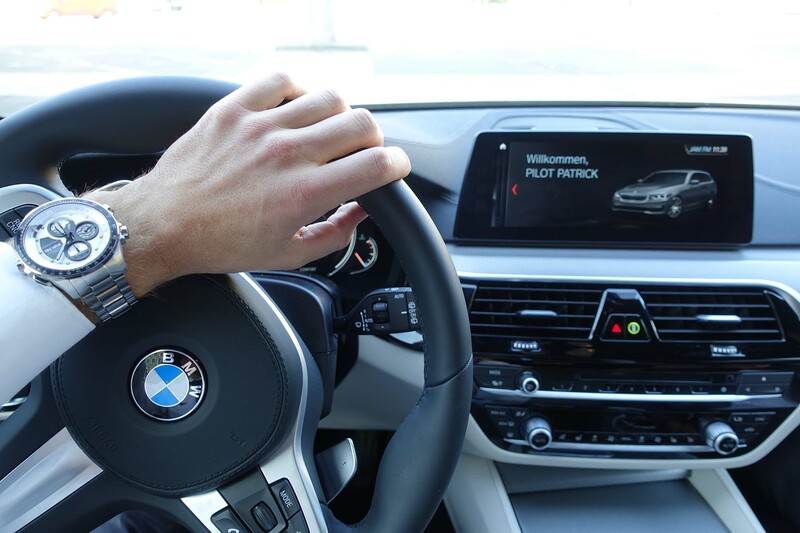 The BMW calculates intelligent routes and recognizes fuel consumption and traffic factors to provide real-time updates. This feature does not only save time but also fuel as well. 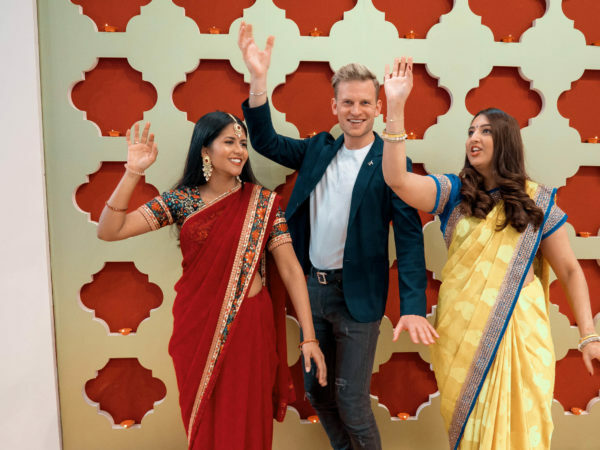 Share live trip status: most of the time I need to update my friends and family on my arrival time for an important gathering. With the feature “Share live trip status” you can inform selected contacts about your live coordinates and your exact arrival time. This is all done automatically and you can fully concentrate to arrive safely. I wish I had this feature when flying. Concierge Service: Seek assistance from a built-in concierge service. I personally talked to the service while driving. They can help you find an address, which they can send to your dashboard screen right away and they can even make a restaurant reservation for you. 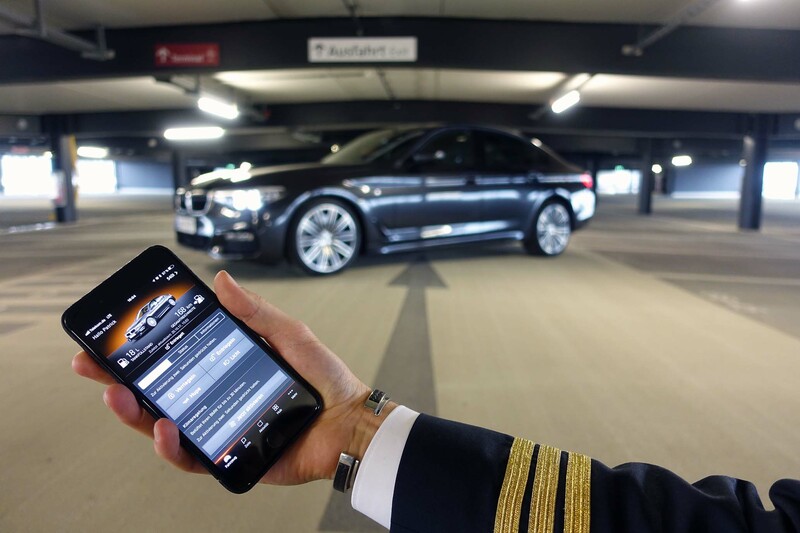 Remote services: turn your mobile phone into a car key via the Connected+ app. This is super handy if you cannot find your key right away or if you have problems finding the car. You just turn on the headlights and stoplights or locate it with your app. In car experience: Main dashboard navigation with multifunctional screen capabilities for entertainment and directions with a simple touch or even only with a gesture. I really enjoyed that the speedometer and all other gauges around were displayed on a screen. I could personalize the information I wanted to have to display. The head-up display is a great tool. It shows you e.g. directions, which makes it feel like it is flying in front of the car. All in all, I must admit that the cockpit of the BMW 5 series is more advanced than my Airbus cockpit. But one feature is still missing: the option to fly! What is your favorite BMW model? 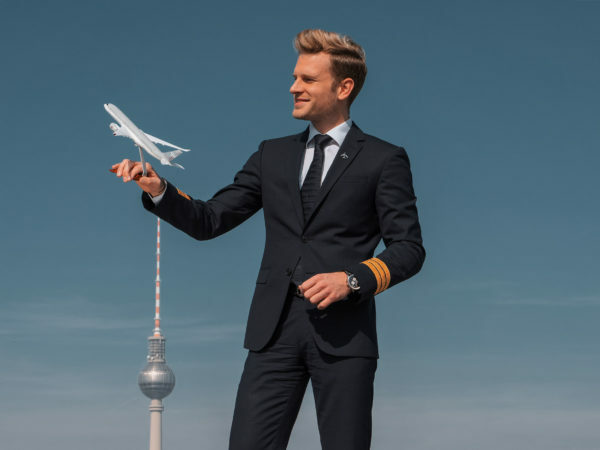 Happy landings and safe driving! Thanks. Good info but unfortunately I dont have license for driving a car, not yet, soon. N unfortunately I dont have BMW too, not yet again, hahaha. For villager like me, having BMW is so impossible. But nothing is impossible. Maybe there someone who will buy me one? Hmm who knows? If I am not wrong the video was made by you n your friend some months ago by drone, right? You show it now. Good. I always wait for this video. Hi , I am shiren, you know me ? You mail me in travel web site. I will very happy to find you. I will to contact with you. This is my number. 920494170. Now I a portuguel.i will waiting for your phone call. Please read my latest article on my blog! Hi Patrick. Hope you’re having a great time as I can see it. Your articles are very good. You have traveled to many countries. My question is when will you visit Pakistan? It’s worth to see you live here in my country. Best wishes for you.